I've made many origami butterflies in many different sizes. This is a classic pattern that works well in a medium size, just over 1 inch across. 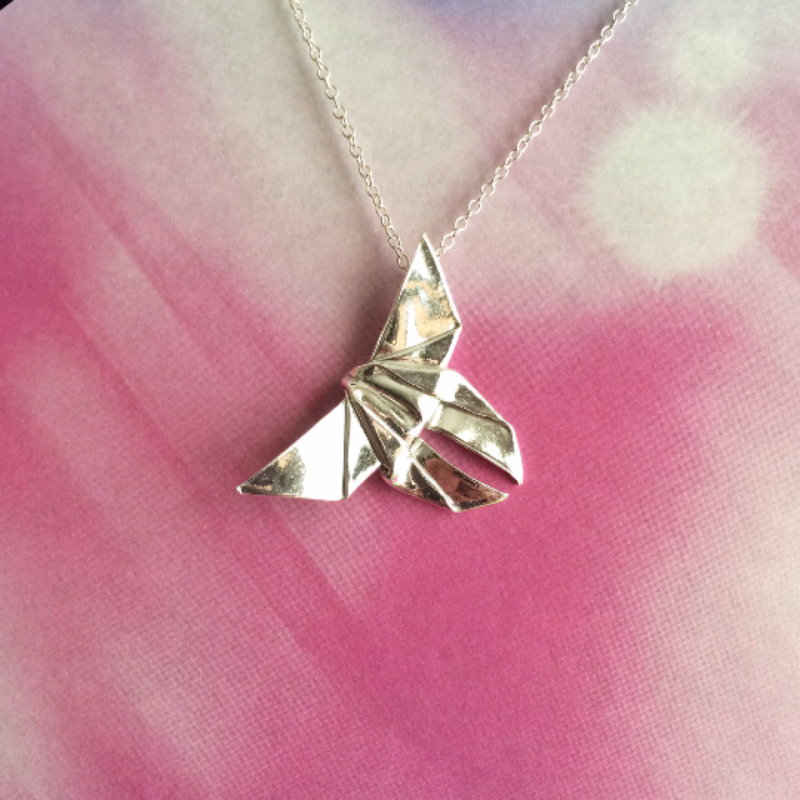 It's folded from a single sheet of .999 fine silver, then kiln fired and highly polished. A silver wire loop is soldered behind the wing to hold the chain out of sight. 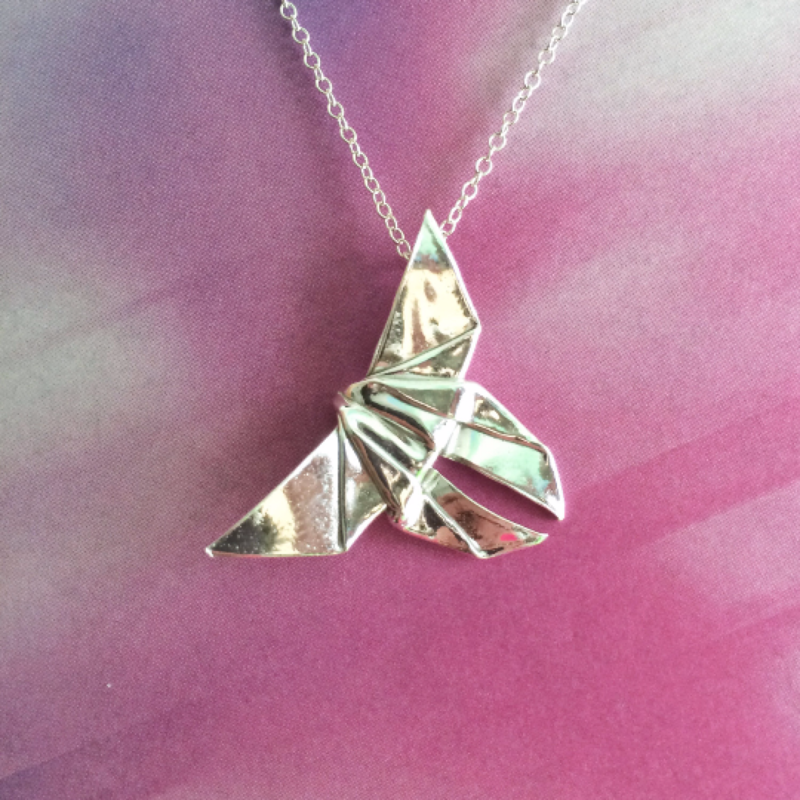 Comes with an 18" sterling silver chain, as shown.